At indiegamesday.com, the first option for people in the past when it comes to playing video games, would definitely be Triple-A Video game titles. 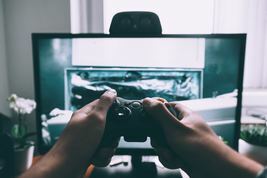 Today though, the amount of people turning their attention to the Indie game industry is continuously experiencing an explosive growth, becoming an entirely new market that has enormous following of game enthusiasts as well. If you pin game developers of Indie games against developers of AAA games and another big type of games, you'll surely see that their disparity is something that cannot be bridged that easily. Despite the fact that the top Indie games in the world are made by an independent and incredibly small team of game developers, it is still crystal clear that this isn't a hindrance for them to make impressive titles that have also marked themselves in the annals of the gaming industry. There are some developers which have managed to prove themselves time and time again, obviously making them worthy of being part of the best video game developers of the Indie scene today. 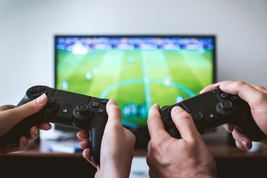 Whether you just want to know more about the best video game web developers of indie games out of curiosity or for more diverse purposes, you'll certainly find the information below to be exactly what you're seeking. If there's any American video game developer out there in the Indie Games category which has undeniably left its mark in the industry already, then the answer will certainly be Team Meat. With Tommy Refenes and Edmund McMillen at the forefront of the boat which founded the Team Meat, they have astonishingly made an impressive impact with their game, the Super Meat Boy, which has even become synonymous to the name of the team already. The game is so impressive that Metacritic has even given it a whopping 90/100 score, solidifying the reputation of the Team Meat American Video game developer. That's not all since, after those titles, they've also produced other titles worthy to dub them as part of the best video game developers of today which is the equally famous Binding of Isaac along with Aether. Capybara Games, more commonly known as Capy Games, have also served unique and superb titles to the industry which obviously makes it one of the best video game developers today as well. The company is based in Toronto Canada and has their focus on developing downloadable games for consoles, Nintendo DS and the iPhone. Some of the impressive titles on the belt of Capy Games are the critically acclaimed Might & Magic: Clash of Heroes, the Superbrothers: Sword & Sorcery, Critter Crunch, Heartbeat and many more. If you're really into Indie Games nowadays and have had your fair share of research already, then you surely would have already played the World of Goo. If not, then you should make haste and give it a try since you'll be missing half of your life without it. The World of Goo, developed by 2D Boy, is simply that impressive and it is exactly this game which has allowed the 2D Boy developers to leave their impact and mark deep into the gaming industry. What's even more impressive is the fact that the developers of the game only refer to two guys, which is downright deserving of even more commendation. Games banking on the use of point-and-click gameplay are slowly dying out in our current generation. They are simply not as famous as they've once been before all due to reasons that may be quite evident already. Still, Amanita Design begs to differ, as they put forth titles to the Indie Games category which makes use of this relic of a gameplay. They prove themselves right when they manage to impressively make a superb title - the Machinarium, which will surely engage and immerse you to its world. With its dark, cyberpunk world, you'll be on a quest to save a city from a bombing situation while of course, saving your lover as well, giving the game a dash of romance as well. There's also the Hello Games developer founded by David Ream, Ryan Doyle, Sean Murray and Grant Duncan, which is a British Game developer boasting impressive titles on their belt as well. One of which that has portrayed fun at the forefront of their title is the Joe Danger game which will make you think about the classic games. Of course, the one that left even more impact to gamers, which has also solidified the immense reputation of Hello Games today, is the No Man's Sky adventure game. Although the Indie Computer Game Companies in this list may not be enough to cover even a fraction of the entire Indie Games industry, these impressive developers are still some of those who deserve to be patted on their backs for a job well done. Much like these Microgaming slots, their games will surely bring you unprecedented fun and excitement and if you are an aspiring developer on the other hand, then you'll surely find the accomplishments of these developers to be incredibly inspiring.